I've never been the type of person to write New Year's resolutions. I just didn't see the point. Over the last couple of years I have become more and more interested in the idea of a Bucket List but I've never followed through on it. But a few days ago I stumbled across this post on Emily's blog and was immediately intrigued. Then Jenna at That Wife wrote her list and I was hooked. I'm a few days late but I'm doing this! So here we go! I've created a page at the top so you can follow along! If you want join up and do it check out the links above. They have some great ideas! 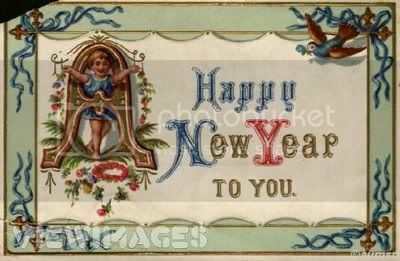 Wishing you a Happy 2011!